We take summer seriously in Austin. The perfect combination of 100 degree heat and suffocating humidity turn almost any activity into an extreme sport, and keeping makeup from sliding off your face becomes a daily struggle. We feel ya. 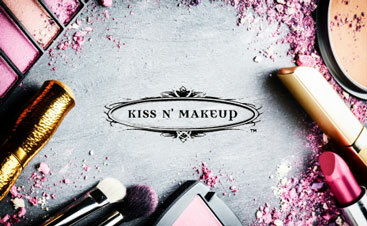 So we at Kiss N’ Makeup have put together a list of our favorite sweat-resistant tips and summer looks to get you through the next few months. When it comes to bases, lightweight is the name of the game. Powder foundations tend to be the better bet, as they absorb sweat and oil and won’t start to run under pressure. Many foundation powders contain SPF, which we all know is the frontline for fighting signs of aging. It’s best to opt for a lighter, less-coverage base and use a little more concealer than to weigh down your skin with a heavier foundation. 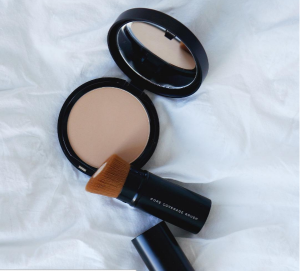 For rosy cheeks, cream blushes work best since they meld better, and especially if your rocking the powder foundation you don’t want to over-layer. They’re also easier to “fix” once the heat sets in, since you can just brush them back into place with their fingertips. Stains are also a great option. Applying a few drops and blending over your cheekbones with your fingers will give you a nice natural color that isn’t going anywhere when you start to sweat. Since gel liners are usually a kiss of death in the summer (or kiss of the raccoon rather) powder liners are generally the way to go. 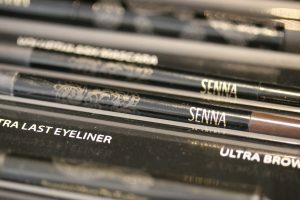 There are a few good quality waterproof gel liners, but unless it’s waterproof you’re better off using a powder. Pro Tip: Eye Shadows that are dense in color work great as liners! Stains are great for lips too! 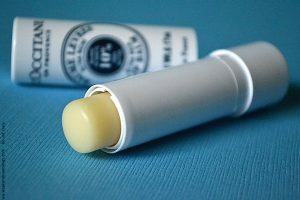 But with the heat, you may want to try something a little more hydrating like tinted balms, or glosses with SPF. Your lips are vulnerable to sun damage as well, though we don’t always notice it, so it’s important to protect them when you can. 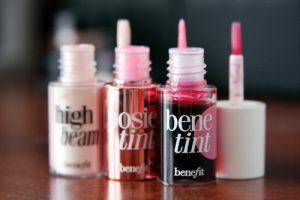 Balms and glosses with Vitamin E will provide a little extra nourishment for your lips while still giving you a nice dose of shine. There’s a lot of sun flying around out there, so why not harness some of that light to give yourself a summer glow? Bronzy-gold powder highlighters that reflect the sunlight like Senna Cosmetics Divine Glow give you that sun-kissed look we’re all striving for without the sunburn. So you’ve put together the perfect summer look, with all your sweat and sun fighting products. The last line of defense to keep everything in place is a good makeup setting spray. While it helps your makeup keep its cool, it also has the added bonus of being a refreshing break from the heat! Eleve Cosmetics makes one of our favorite setting sprays, and it even comes in a travel size bottle so you can stash it in your purse or bag for a refreshing touch up wherever you are.